Have you ever dreamt of owning a copper bust of Barack Obama? How about a poncho toilet? or a portable sauna? Well, if your timing was just right on Black Friday, the clever marketers at Cards Against Humanity made that possible. That’s right, the popular NSFW card game took Black Friday to the next level, offering up some strange (but some extremely valuable) items on their site: 99percentoffsale.com. The “sales” offered some amazing deals on things you might actually use, like 99% off a twenty dollar bill or a Sony 4K TV. It also gave you some lesser sought-after items, like a life-sized Orlando Bloom cutout, a 50-pound wheel of Romano cheese, or 500 pounds of dried garbanzo beans. 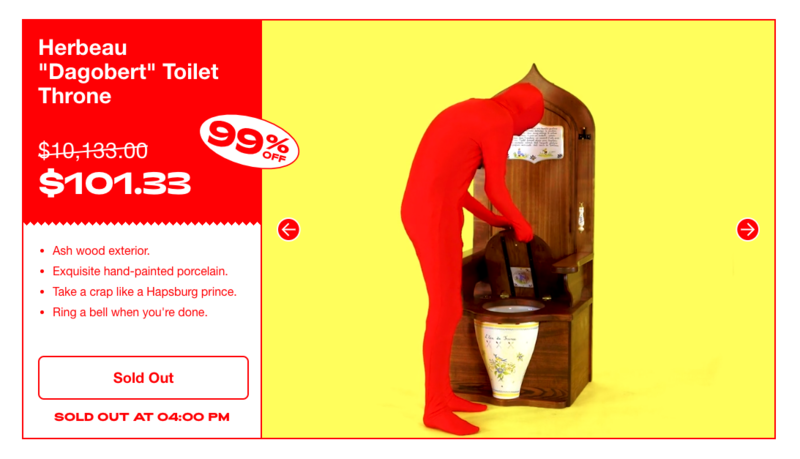 The 99% Percent Off Sale comes as yet another installation of the Cards Against Humanity Black Friday stunts. Back in 2013, CAH actually raised their prices by $5 across the board on Black Friday. The next year, they literally sold bull feces. Then in 2016, they crowdsourced over $100k so that they could dig a hole for as long as people could pay to keep the backhoe running. Last year, the team said they were giving up on the card game and moving towards food production, selling the completely original “Prongles” chips that stacked inside a tube. It seems that the CAH brand just has it out to get Black Friday, since every year since the game started they’ve been going bigger and better to parody the shopping holiday to everyone’s enjoyment. This year, the game took the Black Friday stunts to the next level. The sale started off by offering 99% off of a twenty dollar bill, and then REALLY got creative. A 17th-century halberd, a slightly used car, a 30ft inflatable bald eagle, and a sort of “Royal Throne” soon followed the initial offer. What seemed like a “too good to be true” deal turned out to be a legitimate sale. 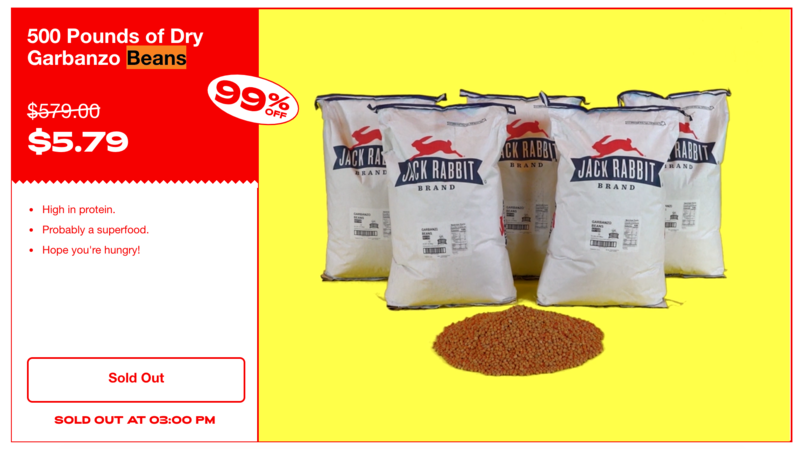 Users literally cleaned up with this sale and were notified that their products will ship in a few weeks. Not to mention they got a jump on their spring cleaning for the year, as many of the items sold came directly from the CAH office. But why all the fuss over what’s usually a big day for retailers? - Max Temkin, Co-Founder of Cards Against Humanity. It’s safe to say that when it comes to Black Friday, an unofficial holiday which seems to have grown to even overshadow Thanksgiving the day before, CAH is not a fan and will continue to come up with satirical ideas to make their audiences laugh through the madness. Talk about a brand being brutally transparent. The value in CAH’s ongoing protest on Black Friday is its authenticity. They understand their audience and are speaking directly to them with something that is very true to their brand. They have an open protest against Black Friday which will clearly remain unaffected by their critics. Cards Against Humanity has always been an off-the-cuff, counter-culture, “stick it to the man” kind of brand. This protest aligns perfectly with that culture and outrageous personality and does so in a way that rewards their fans and advocates. It works because they create spectacles. On a day where people will literally become violent to save $100 on a television, this year’s campaign, in particular, took it to the point where it seemed straight up unbelievable. It also spread like wildfire. I mean, who wouldn’t praise a company giving away free money? 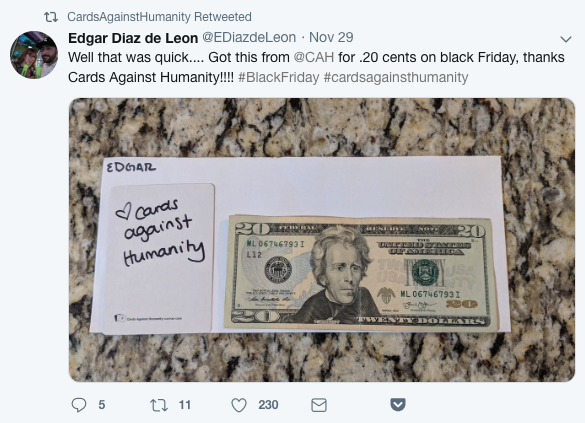 By the end of the sale, Cards Against Humanity undoubtedly took a massive loss financially, but in the process, they stood for their values and gave their fans a great laugh in order to start the holiday season. Not to mention they also reached thousands of other potential customers. Overall, this is a brilliant case study for marketers in all industries. Stay true to your brand and even if you rub some individuals the wrong way, your true fans and loyal customers will stick by you and praise you for doing so.